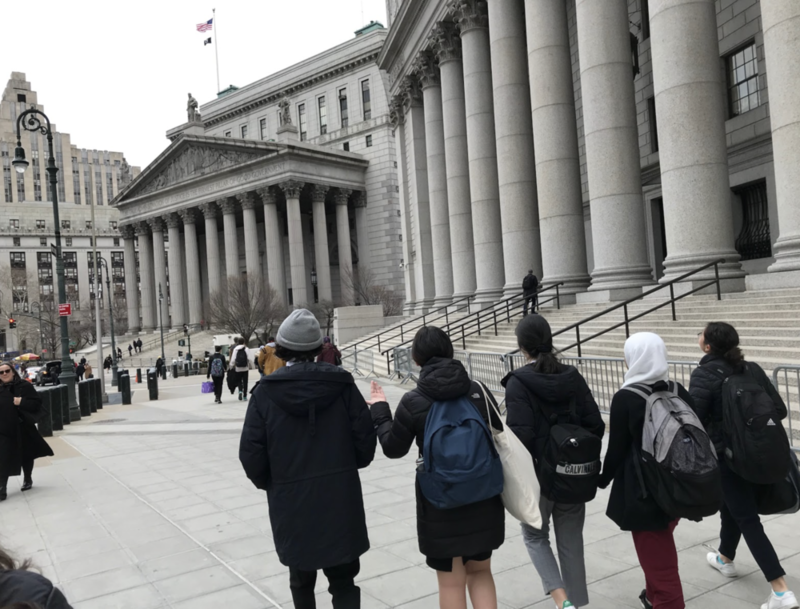 From the classroom to the courtroom, Midwood’s Mock Trial Team has worked hard to defeat their competition from Tottenville to Curtis to Regis High School. However, they finally met their match against Forest Hills High School on Tuesday, April 2 at the U.S. District Courthouse. The team has been working with lawyer Scott Henny at a law firm at Wall Street every Tuesday to prepare for their competitions with help from their coaches Mr. Eugene Resnick and Ms. Taylor Grode. Captain of the Mock Trial team Jennifer Yakubov ’20 has also been guiding the team to success. The team is presented with a fictional case every starting season. This year, the team has 14 members, 12 of whom are active competitors. During the actual competition, there can be two winners. The winners are chosen on a point-based system or by whether the case could have been legally won in an actual court case. Next year, Mock Trial tryouts will be held in mid-October. Those who try out must choose an argument and argue for both positions.